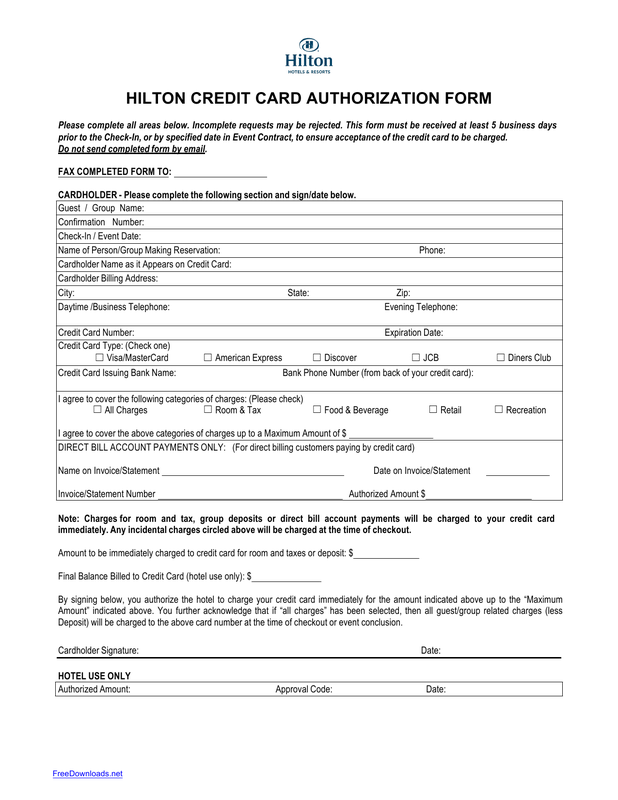 Download the Hilton hotel credit card authorization form to process Visa, MasterCard, American Express (AMEX), Discover, JCB, and Diners Club payments. 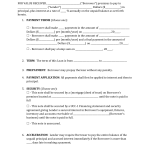 This form is typically faxed to the hotel from a person that is seeking to pay for a guest’s stay including all charges (room & tax, food & beverage, retail purchases, and recreation). The amount is to be filled in at checkout with the cardholder signing to agree to pay for the full amount due. Part 1 – This will consist of the cardholders information including their name, mailing address, and phone number. Part 2 – Enter the card information including the name as it appears on the card, billing address, card number, expiration date, issuing bank, bank phone number, and any other details that should be mentioned. 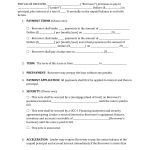 Part 3 – The final checkout amount should be written and the cardholder will be required to sign and agree to pay the amount due. The form will then be held at the hotel for their records.